TABLE, RECTANGULAR 6ft x 30"
Use 60x120 banquet cloth to cover or plastic covers available for sale. Please cover tables for your use. 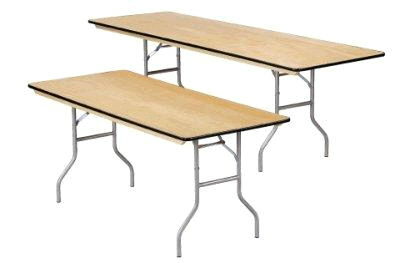 ** Please call us for any questions on our table rectangular 6ft x 30 inch rentals in Fairview Heights IL.